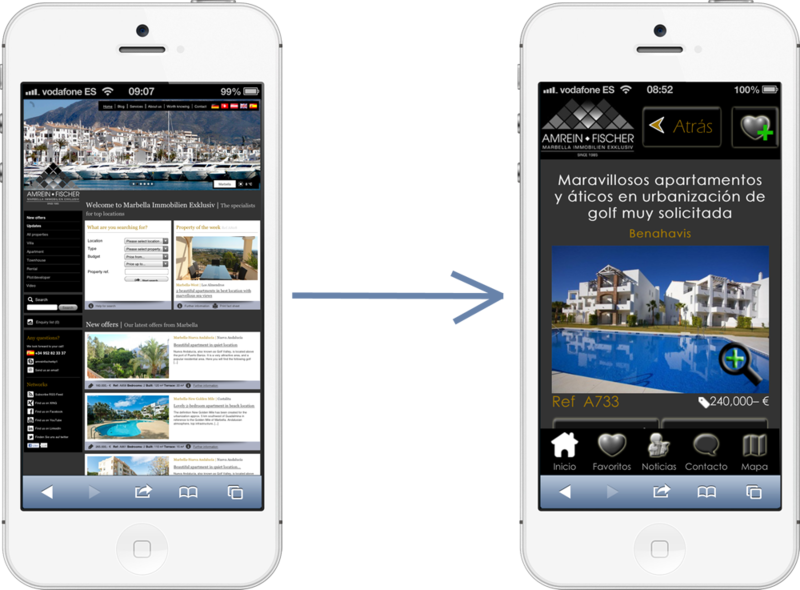 One of Marbella’s finest Real Estate agencies specialised in the German-speaking market, Amrein Fischer (aka Marbella Exklusiv) went live with their latest technology addition: their Web App made by OptimaSit. Realising that a grand majority of all people accessing and searching the web now use mobile devices, the decision was made to have a custom-made version of their website including all properties and news items for Smartphones. In close collaboration, OptimaSit recently delivered a custom design in three languages (English-Spanish-German) to match the look and feel as well as functionality of their recently updated classic website. Check it out from any Smartphone by going to amrein-fischer.com or marbella-exklusiv.com. For further information, please contact us.